Concealing TVs has been a staple of our business for years now, and over those years we've improved the speed, strength, and security of our TV lifts. 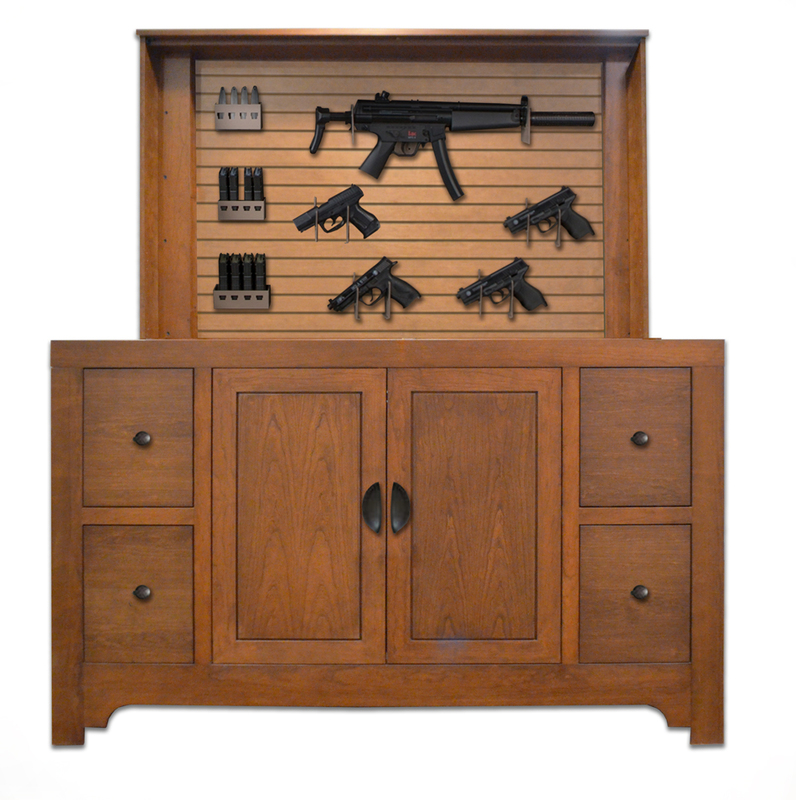 It only made sense to use our technology for something the world needs, and that's better firearms storage. Whether you're a collector or you require fast access to your firearms for defense and home protection, our lift systems will be there for you when you need it even when the power goes out. Featuring a battery back up system for quick access during power outages and any security lock you can image from simple key, to biometric scanners.